About 50 percent of the people who play video games in America are women, so it makes a fair amount of sense that some percent of the people who fight the giant video game monsters that have escaped into the real world would be women as well. That is, if we can believe an Adam Sandler movie. 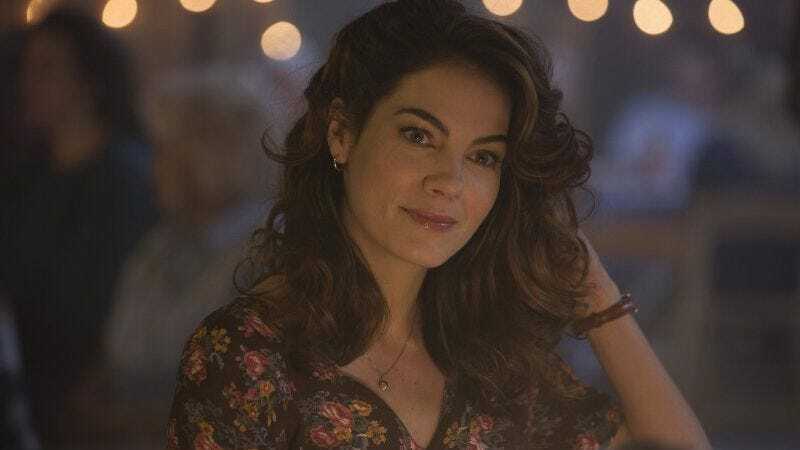 As reported by Variety, True Detective’s Michelle Monaghan has been cast in Pixels, the upcoming Adam Sandler movie about ‘80s video game characters escaping into the real world and attacking New York City. She’ll join the previously announced cast of Sandler, Kevin James, Peter Dinklage, and Josh Gad in the film, some or all of whom will be playing video game experts hired by the government to stop the retro rampage (which will hopefully feature actual characters from the video game Rampage). We don’t know who Monaghan will be playing yet, but given her recent stint on True Detective as Woody Harrelson’s long-suffering wife who gets justifiably annoyed when he spends all of his time either solving crazy mysteries or cheating on her while buying tampons, she could fit a similar “annoyed wife” mold in Pixels. The big difference would be that, instead of being annoyed by her husband’s constant cheating and mysteries, she’d be married to video game expert Adam Sandler.